A recently released flash poll conducted about the House District 65 race has shown Franklin Rep. Jeremy Durham was behind by at least 20 percentage points. A recently released so-called “flash poll” conducted about the House District 65 race suggested that Franklin Rep. Jeremy Durham was behind by at least 20 percentage points even before a report came out questioning the legislator’s behavior at the capitol. A scientific poll conducted about a month ago showed Durham with a slight edge over Whitson. In the “flash poll” conducted by a Middle Tennessee business-oriented group called Preserving Our Community’s Future, 198 people were polled from a list of likely Republican voters. 50 percent of of the participants said they would vote for challenger Sam Whitson if the election were today. 36 percent said they would vote for Durham and two percent said they cast a vote for Stacey Givens, who is not actively campaigning. Approximately 12 percent said they were not sure. Preserving Our Community’s Future asked for the poll, which was conducted on July 12-13. The Attorney General’s report was released on July 13. A total of 22 women were interviewed by the Attorney General, identified not by name in the report, but as interns, staff members, colleagues and lobbyists. The 52-page investigation contains numerous claims against Durham of flirtation, sexual misconduct, inappropriate comments and more. “These polls show that a majority of Williamson County voters are ready for a change in their state House District 65 representative, Preserving Our Community’s Future chairman Darrell Freeman said. Preserving Our Community’s Future is connected to several Middle Tennessee business leaders who have ties to the Nashville Area Chamber of Commerce. About a month ago, the company Baselice and Associates, Inc. released results of conducted telephone survey between May 31-June 5. The survey said it randomly selected voters in District 65 with a margin of error at 6.5 percent. 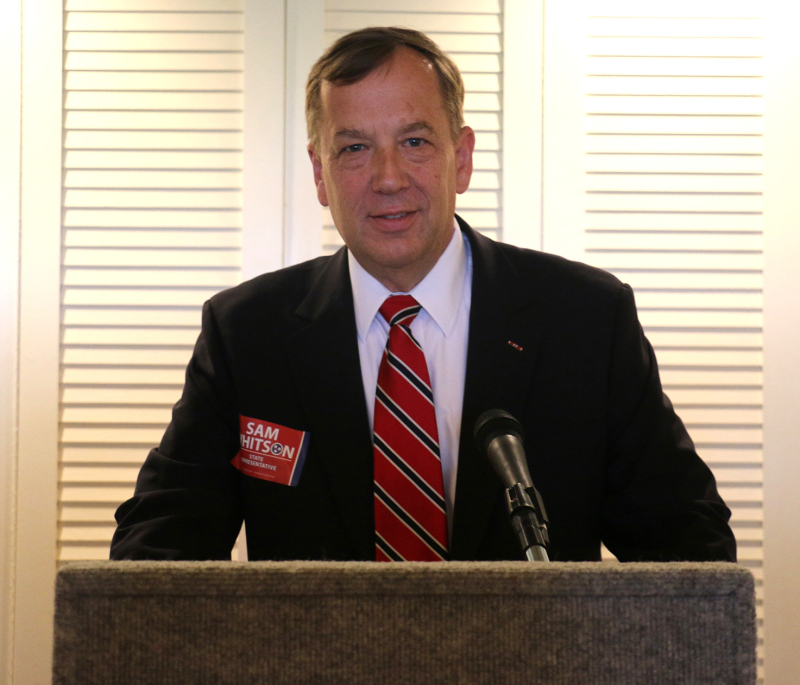 “On the three-way ballot, Sam Whitson (24 percent) is in striking distance of Durham (33 percent),” the survey said. “Stacey Givens is at 6 percent, while 37 percent are undecided.” They found at the time Durham was a vulnerable candidate.